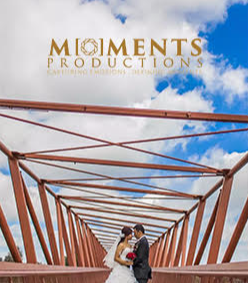 At Moments Productions, we are a team of enthusiasts specializing in wedding cinematography and photography. Our cinematic style of wedding video is filmed and edited more like a movie with a view to emphasizing the emotion and drama of the day. We employ journalistic style of photography, which sometimes known as ‘documentary’ or ‘reportage’. This style involves the capturing the events of the day as they happen. We are storytellers. Our shooting techniques emphases minimizing posing and scene manipulation. Our goal is to be as unobtrusive as possible while capturing the reality of the event with little interference. We focus on finding moments during a wedding that happen naturally.